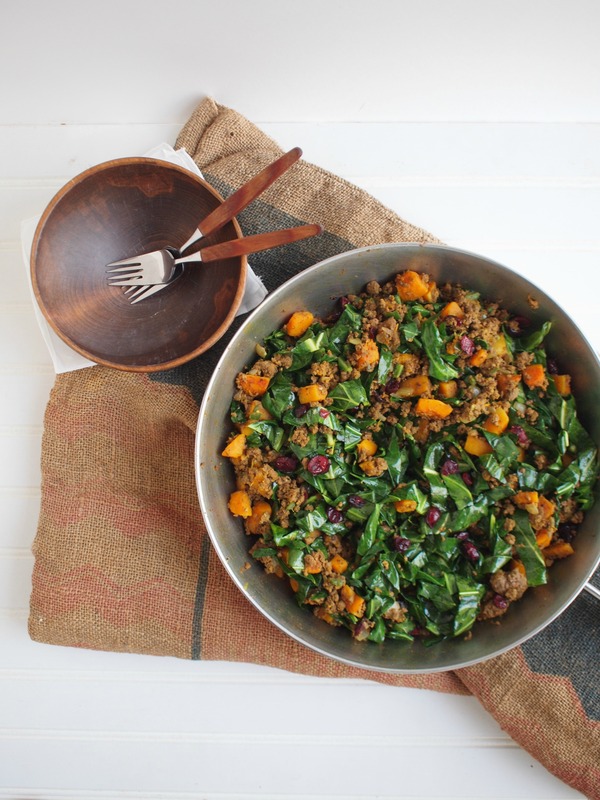 Inspired by an African staple Sukuma Wiki, which literally means ‘stretch the week’, I created this flavorful and satisfying lunch that packs a nutritional punch! 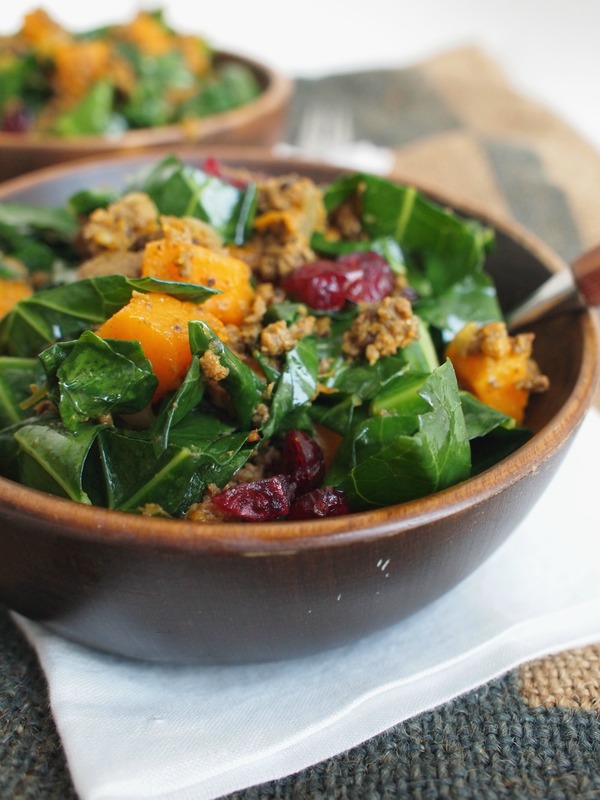 This dish usually consists of collard greens with tomatoes, but instead of tomatoes I used butternut squash and added dried cranberries, making it more of a sweet and spicy, bold-flavored, cold weather dish. In a large skillet, warm coconut oil and add onion, butternut squash, and jalapeno. Saute on medium heat for about 12 minutes, or until squash is slightly tender. Add ground bison and all dry spices, and cook until meat is no longer pink and squash is tender, about 7 minutes. Toss in garlic and saute until fragrant. Add collard greens and saute until wilted. 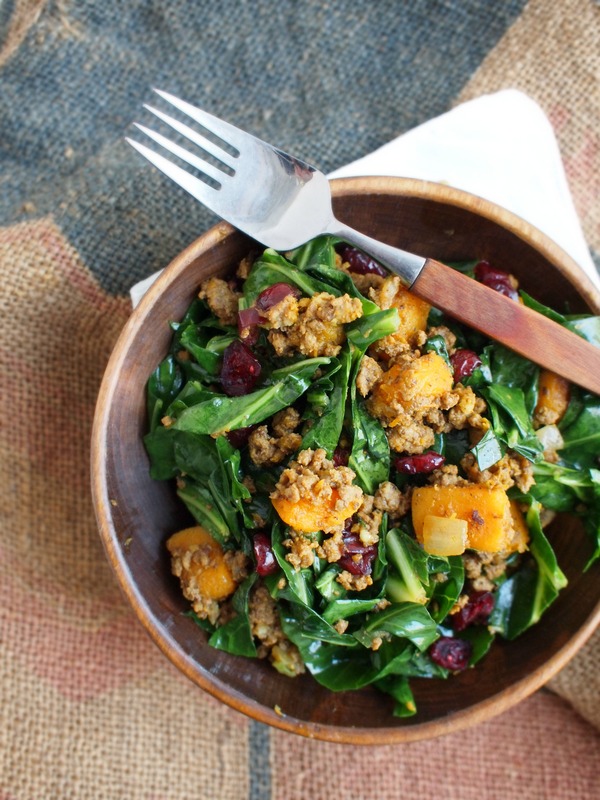 Squeeze lemon over greens and toss in cranberries. Season to taste adding more salt or pepper, if needed. Serve hot. Beautiful. It’s such an inspiration to read everyone’s posts on this subject today. Glad you’re a part of it. I’ll definitely be trying this! it feels good to be a part of something bigger than yourself. so glad you’re a part! 🙂 your bowl of goodness looks amazing! let me know if you try the sukuma wiki! Lovely recipe for a wonderful cause! So happy to learn more about the Lunchbox Fund. Thank you for sharing!